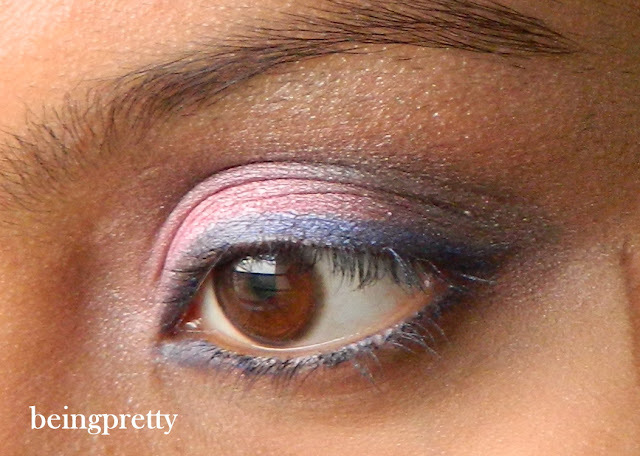 being pretty-an indian girl's blog: Eye look using Miss Claire Glimmerstick in Denim Blue. 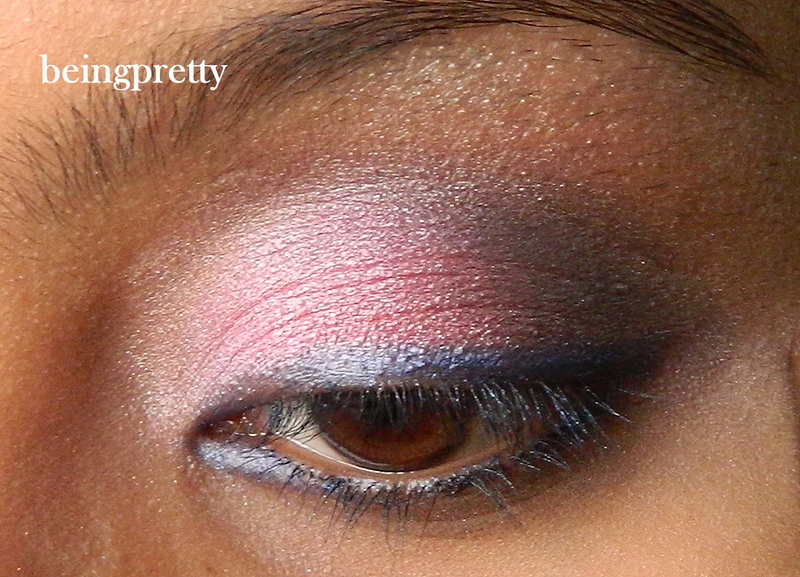 Eye look using Miss Claire Glimmerstick in Denim Blue. 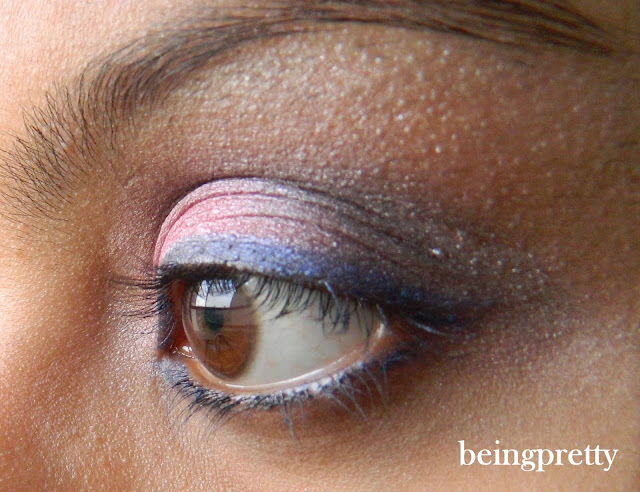 Here's a look in which I used my Miss Claire Glimmerstick in Denim Blue for lining my eyes. Its a pretty simple pink and grey look..and I don't really know whether the blue liner looks good or not.. 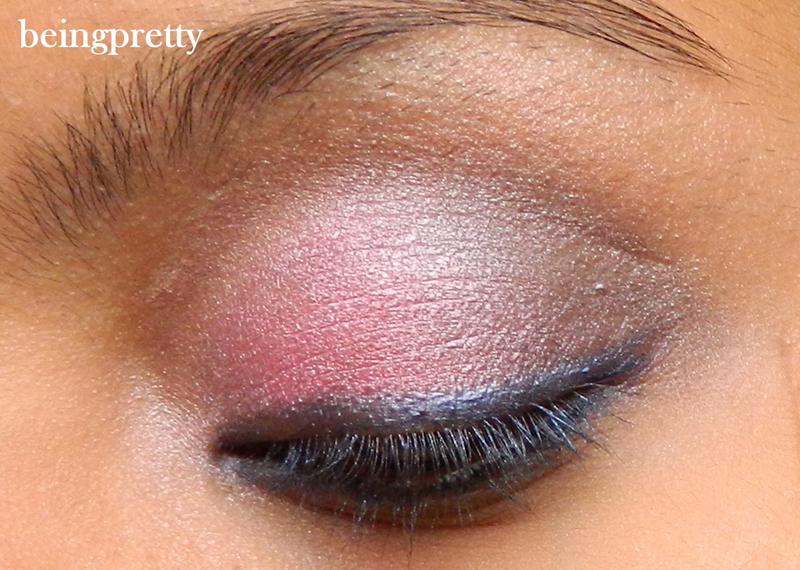 I just did it for fun! !